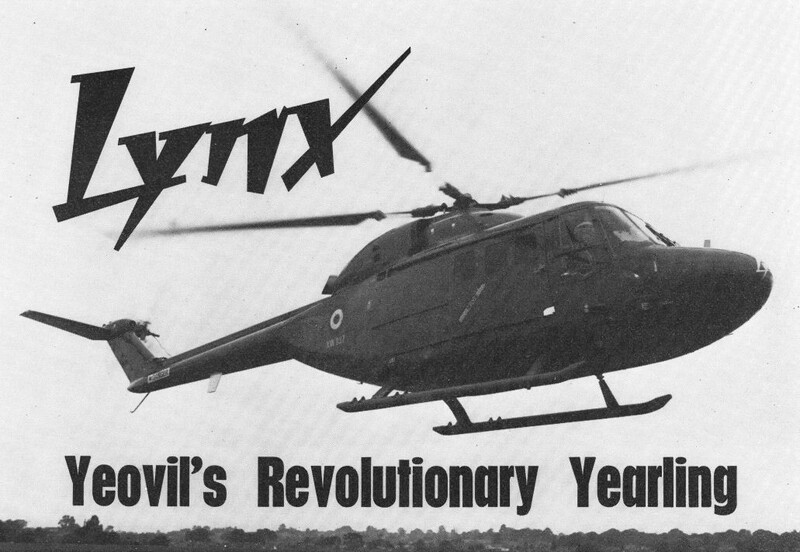 The first of the Lynx development prototype, in the so-called "basic" configuration. 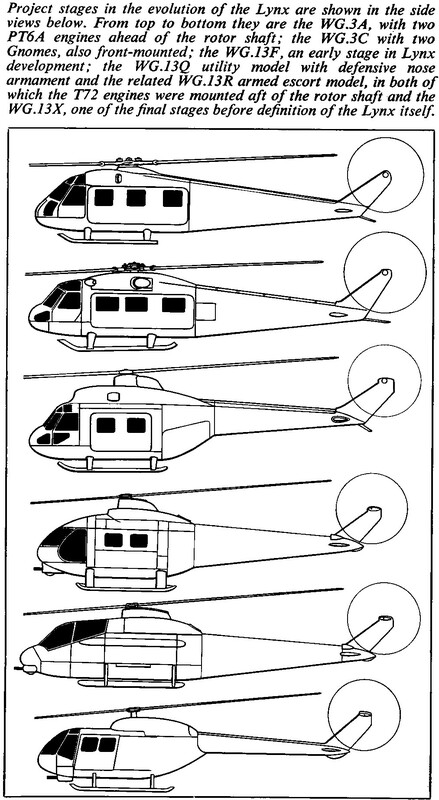 Prototypes number 1 and 3 in flight. 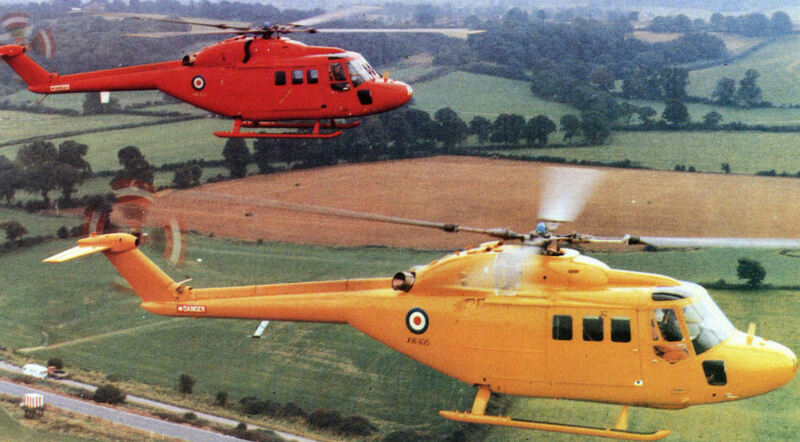 Distinctive overall colours have been adopted to permit rapid identification of the individual aircraft, which are assigned various roles in the test programme. 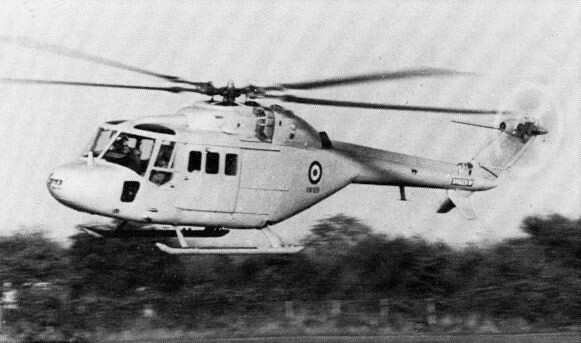 The basic Lynx No 1, XW835, in flight with the experimental "butterfly" ventral fins. 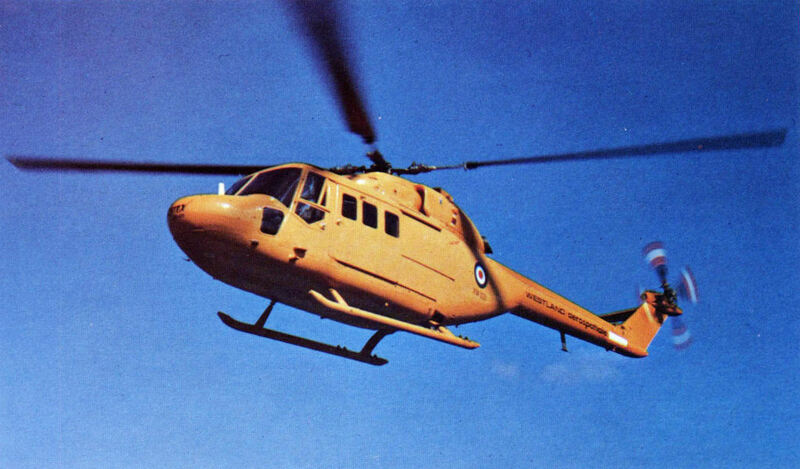 No 3, XW837, in the hover. 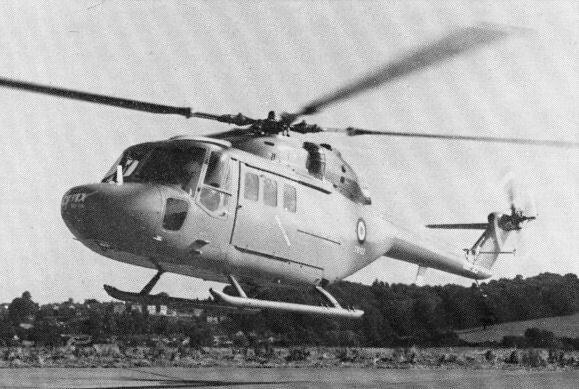 The fifth Lynx completed, XX153, is the first in utility configuration, with Army camouflage and nose fairing extended by 9 in (23 cm). 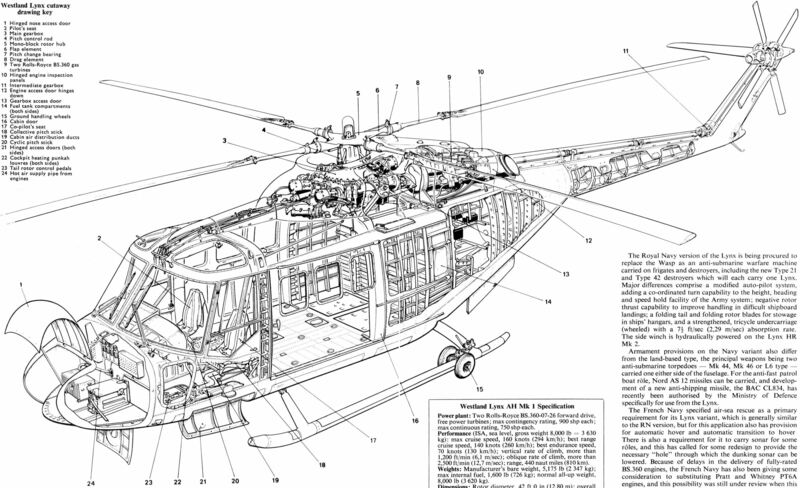 Project stages in the evolution of the Lynx. 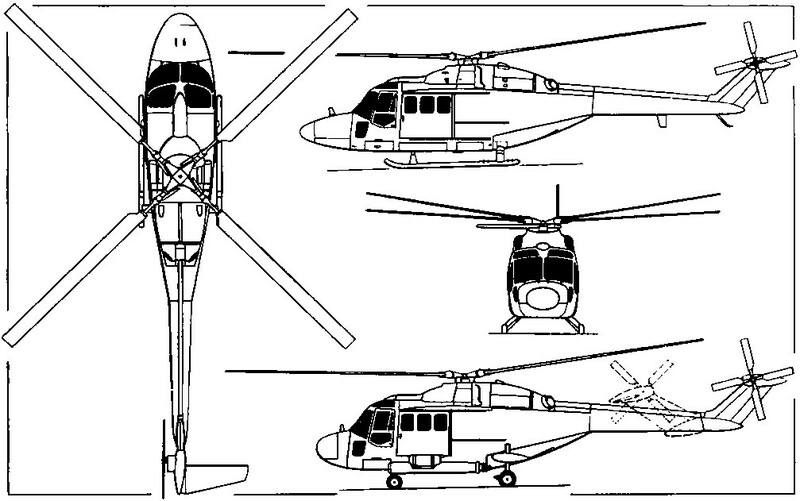 Three-view drawings of the Lynx AH Mk I, showing the lenghtened nose adopted on this version and (lower side view) the Lynx HR Mk 2 with wheeled undercarriage and folding tail rotor.